Egypt, I was, I am, & I will be The Nile…!!! There is no Egypt without The Nile!!! The treaty between Britain and Ethiopia of 15th May 1902. The agreement between Britain and the government of the independent state of the Congo signed on 9th of May 1906. The 1901 agreement between Britain and Italy over the use of the River Gash. The Tripartite (Britain-France-Italy) Treaty of December 13, 1906. The 1925 exchange of notes between Britain and Italy concerning Lake Tanner. The agreement between Egypt and Anglo Egyptian Sudan dated 7th May 1992. Egypt’s fight to hold on to its monopoly over the Nile’s water resource has split the Nile dependent countries into two groups with Sudan supporting the north African country. But notwithstanding the northern African country’s claim to veto power, by virtue of an 80 year old treaty signed with Great Britain, and attempts to get Ethiopia, which leads the upper riparian countries, to soften its position, Ethiopian Water Resource Minister has announced that the signing of a Cooperative Framework Agreement (CFA) that seeks a fairer use of the Nile’s water resource will go ahead, with or without Egypt and Sudan’s agreement. ﻿An Extraordinary Nile Council of Ministers’ Meeting that saw the gathering of all ten Nile Basin Initiative (NBI) member countries last week at Sharm El-Cheikh, in Egypt, failed to produce an agreement over the sharing of the Nile’s resources. Egypt, supported by Sudan, refused to give its stamp of approval to a Cooperative Framework Agreement (CFA) that seeks to develop the Nile river in a cooperative manner and share its resources equally without causing significant harm to other riparian countries. The meeting which assembled both Upper riparian countries (Ethiopia, Uganda, Kenya, Tanzania, Democratic Republic of Congo, Eritrea and Burundi) and lower riparian countries (Egypt, Sudan) revealed the deep fissure that separates the two groups. An agreement signed in 1929 with Great Britain on behalf of its East African colonies, and another in 1959 between Egypt and Sudan allowed Egypt alone to use 55.5 billion cubic meters (87% of the Nile’s flow) and Sudan 18.5 cubic meters of water each year. The CFA, which was finalized during a previous meeting in 2009, in Kinshasa, DRC, questions the near monopoly Egypt and Sudan hold over the Nile river. Mohamed Allam, Irrigation Minister of Egypt, had announced, ahead of the Sharm El-Cheikh meeting that his country intended to hold on to every drop of its annual 55.5 billion cubic meter water quota, which represents half of the Nile’s water resource. Among other things, Cairo claims a veto power over all new irrigation projects in NBI member countries, without which, it claims, its “historical right” over the Nile will be undermined. Ethiopia, which contributes to 85 per cent of Egypt’s Nile resource and plays a significant role in the negotiations, while enjoying a highly strategic position among the upper riparian countries as a key member, came under scrutiny when the Eastern African country signed a Memorandum of Understanding (MoU), late last year, to establish an Ethiopia-Egypt Council of Commerce with the aim of strengthening economic ties between the two countries. Observers argued that a future shift by Ethiopia on the Nile negotiations was imminent after the Ethiopian Prime Minister indicated, at the signing of the MoU, that the two countries will develop the Nile Basin jointly through the Nile Basin Initiative. But, Ethiopia’s Water Resource Minister, Asfaw Dingano, reacting to the impasse told journalists on Friday, April 16, that the seven upper riparian countries will go ahead with the signing of the CFA, set to begin May 14 and remain open for a year, with or without the agreement of Egypt and Sudan. With nearly forty articles established to date within the framework of the Nile Basin Initiative, Egypt and Sudan oppose any agreement that modifies their water quota. According to Asfaw, Egypt, seconded by Sudan, rejected the agreement after citing two articles as being particularly problematic, although they had come to a consensus on the subject during the group’s previous meeting. Egypt, which has since the last decade been qualified as a water-scarce country, and Sudan have been consistent in their opposition to all deals that seek to renegotiate the several decades old treaties that give them a lion’s share of the Nile River’s water resource. Colonial treaties have resulted in inequitable rights to the use of Nile water between the countries of the Nile Basin. April 15, 1891 – Article III of the Anglo-Italian Protocol. Article III states that “the Italian government engages not to construct on the Atbara River, in view of irrigation, any work which might sensibly modify its flow into the Nile”. The language used in this article was too vague to provide clear property rights or rights to the use of water. May 15, 1902 – Article III of the Treaty between Great Britain and Ethiopia. Article three states “His Majesty the Emperor Menilik II, King of Kings of Ethiopia, engages himself towards the Government of His Britannic Majesty not to construct or allow to be constructed any work across the Blue Nile, Lake Tana, or the Sobat, which would arrest the flow of their waters except in agreement with His Britannic Majesty’s Government and the Government of Sudan” This agreement has become one of the most contested agreements over the use of the Nile waters. May 9, 1906 – Article III of the Agreement between Britain and the Government of the Independent State of the Congo. Article III states “The Government of the independent state of the Congo undertakes not to construct, or allow to be constructed, any work over or near the Semliki or Isango river which would diminish the volume of water entering Lake Albert except in agreement with the Sudanese Government”. Belgium signed this agreement on behalf of the Congo despite the agreement favoring only the downstream users of the Nile waters and restricting the people of the Congo from accessing their part of the Nile. December 13, 1906 – Article 4(a) of the Tripartite Treaty (Britain-France-Italy). Article 4(a) states “To act together… to safeguard; … the interests of Great Britain and Egypt in the Nile Basin, more especially as regards the regulation of the waters of that river and its tributaries (due consideration being paid to local interests) without prejudice to Italian interests”. 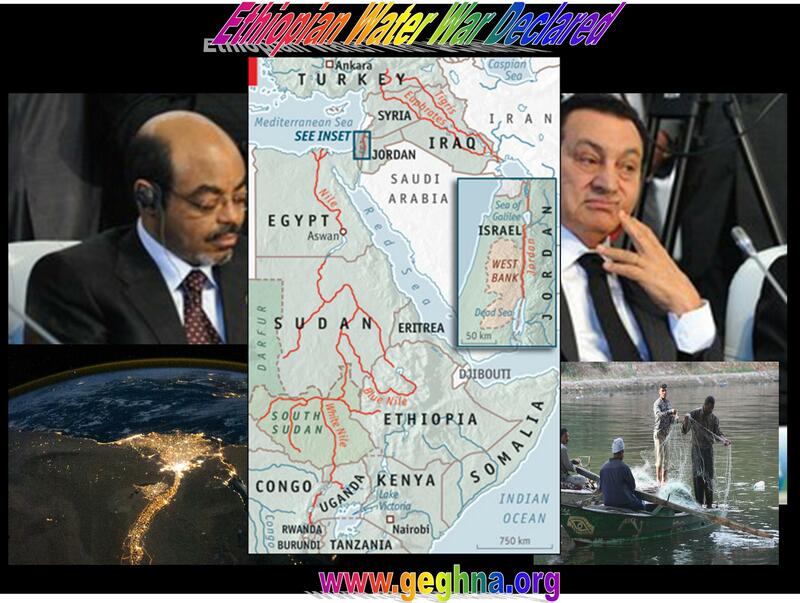 This treaty, in effect, denied Ethiopia its sovereign right over the use of its own water. 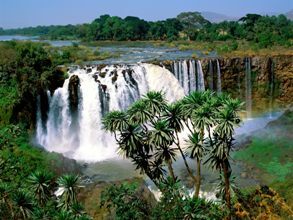 Ethiopia has rejected the treaty their military and political power was not sufficient to regain its use of the Nile water. A battle for control over the Nile has broken out between Egypt, which regards the world’s longest river as its lifeblood, and the countries of sub-Saharan Africa, which complain that they are denied a fair share of its water. In the latest escalation in the dispute, which some observers believe could lead to a new conflict in east Africa, Tanzania has announced plans to build a 105-mile pipeline drawing water from Lake Victoria, which feeds the Nile. The project flouts a treaty giving Egypt a right of veto over any work which might threaten the flow of the river. The Nile Water Agreement of 1929, granting Egypt the lion’s share of the Nile waters, has been criticised by east African countries as a colonial relic. Under the treaty, Egypt is guaranteed access to 55.5bn cubic metres of water, out of a total of 84bn cubic metres. The Egyptian water minister, Mahmoud Abu-Zeid, recently described Kenya’s intention to withdraw from the agreement as an “act of war”. Boutros Boutros-Ghali, the former secretary-general of the UN, has predicted that the next war in the region will be over water. The Nile treaty, which Britain signed on behalf of its east African colonies, forbids any projects that could threaten the volume of water reaching Egypt. The agreement also gives Cairo the right to inspect the entire length of the Nile. It has been gravely resented by east African countries since they won their independence. Kenya and Tanzania suffer recurrent droughts caused by inadequate rainfall, deforestation and soil erosion. The proposed Lake Victoria pipeline is expected to benefit more than 400,000 people in towns and villages in the arid north-west of Tanzania. The Nile, which is over 4,000 miles long, is fed by the White Nile, flowing from Lake Victoria, and the Blue Nile, flowing from Ethiopia. An estimated 160 million people in 10 countries depend on the river and its tributaries for their livelihoods. Within the next 25 years, the population in the Nile basin is expected to double, and there is a growing demand to harness the river for agricultural and industrial development. While east African countries are eager to make greater use of the river, Egypt fears any threat to its lifeblood. Most of Egypt’s population lives in the Nile valley – on 4% of the country’s land – and any fall in the water level could be disastrous. The Nile treaty was drawn up at a time when Egypt was a British satellite, regarded as strategically crucial by London because of the Suez canal, which controlled access to India. The agreement is now in effect enforced by international donors, who are reluctant to advance funds for major river projects that will upset Egypt, a key Arab ally of the US in the Middle East. Sub-Saharan countries cannot match Egypt’s diplomatic clout, but they face a dilemma as a major untapped resource rolls through their territories. “We have reached a stage where all the Nile basin countries are confronted by domestic development challenges,” said Halifa Drammeh, a deputy director of the United Nations environment programme. “How many people have access to safe water? How many have access to sanitation? “There is a tremendous pressure on these governments to sustain the needs of their populations, and to raise their standard of living. Work is due to begin on Tanzania’s pipeline project next month, and it is due to be finished late next year. The Tanzanian government has said the pipeline is not intended for irrigation, which requires large quantities of water, but for domestic use and livestock. It will initially benefit more than 400,000 people, but this number is expected to rise above 900,000 in the next two decades. Kenya plans a conference of the Nile basin countries in March to seek a peaceful solution to the dispute. – Our Site is proud to announce to the public that in the beginning of the Omo Damming www.geghna.org was on the few sites fighting against these megalomaniac inhuman project. Today the whole world has joined to stop this recklessness destined only to make money by the corrupted regime of Melese Zenawie in the expense of the people of Omo in Ethiopia and Kenya. We thank you from the bottom of our heart to your continual support to stop this folly. What Cost Ethiopia’s Dam Boom? 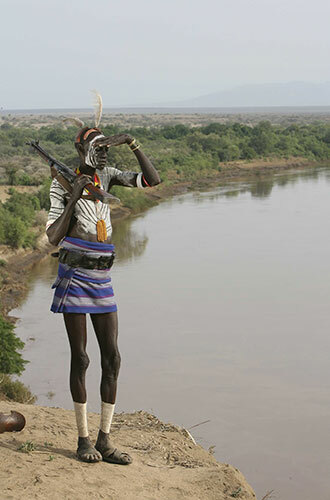 NAIROBI, 7 April 2010 (IRIN) – The Gibe 3 hydro-electric dam being built along Ethiopia’s River Omo will disrupt thousands of livelihoods and threatens to upset the ecology in lower Omo and Lake Turkana, northwestern Kenya, experts and activists warn. Construction started in 2006 and is due to be completed in 2012. “Lake Turkana receives [80-90] percent of its water from the River Omo; thus the impacts of the dam on the lake and the people who depend on the lake system for, for example fisheries, protein and livelihoods could be profound if its construction and operation negatively affect flows and seasonal flooding,” said Nick Nuttall, the UN Environment Programme’s (UNEP) spokesman. “Indeed, spawning migrations of fish are synchronized with the seasonal flooding, which occurs from June through September,” he added. An estimated 300,000 people depend on the lake. According to Terri Hathaway, Africa Campaigner of the NGO International Rivers, an impact assessment of the dam identified another 100,000 people in Ethiopia who are directly engaged in flood recession cultivation, where crops are planted just after the annual river flood. “These crops are more reliable and vital to local food security,” she told IRIN. Another 100,000 people in the Lower Omo Valley depend on these crops and/or grazing lands supported by the flood for livestock, according to anthropologists, she added. 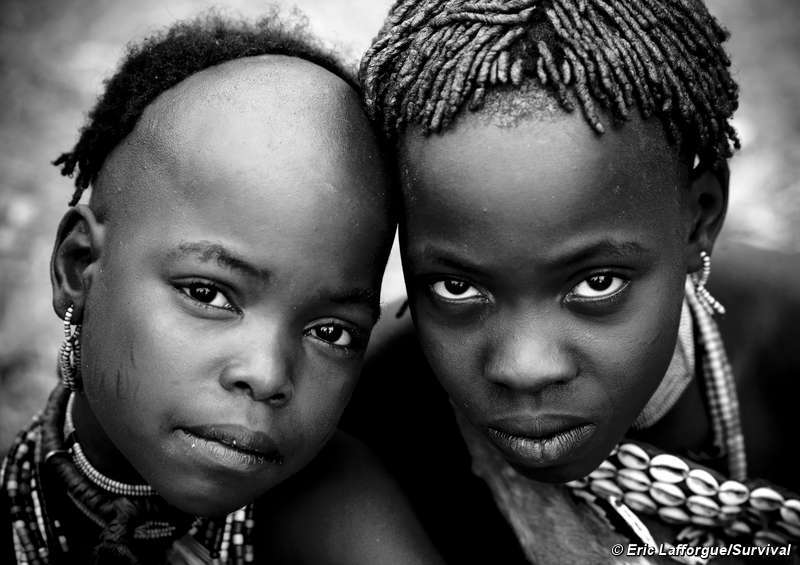 “So there are 200,000 people in Ethiopia who depend on the Omo for their food security,” she said. Gibe 3 will have a vast reservoir and regulate the entire river flow, she said. “By filling the reservoir and destroying the annual flood, the Gibe 3 dam will increase hunger, in turn fuelling greater resource conflicts in an already turbulent region,” she warned. Seasonal flooding reaches the long-disputed Ilemi Triangle area, which is claimed by the Kenyan, Ethiopian and Sudanese governments, Ikal Angelei of Friends of Lake Turkana, told IRIN. Overall, there is perhaps the need for further and more detailed environmental impact assessments in order for the governments of Ethiopia and Kenya to fully understand the challenges and opportunities for hydro on the River Omo versus other energy-generating options. “What is highly likely is with reduced resources, the communities will start to migrate a lot more often and increase the likelihood for more conflict. In an area with increased instability, we are looking at serious conflict,” Angelei warned. She noted that the recent disarmament of Kenyan communities in the region would increase their vulnerability against their well-armed neighbours. The Gibe 3 impact assessment identifies that river flow will be almost completely withheld for at least two years during reservoir filling, but does not address how this will affect Lake Turkana, noted International Rivers’ Hathaway. “[It] suggests that during those two years, impacts to flood recession farmers in Ethiopia should be mitigated by providing food aid, despite vast international efforts to reduce food aid dependency in Ethiopia,” she said. However, the Ethiopian Minister for Government Communication Affairs, Shimelis Kemal, told IRIN the Gibe 3 project had come into effect after an extensive experts’ survey. “I know for sure that some highly renowned international experts have publicly assured that the construction of the dam [would] in no way jeopardize the livelihoods of the people living around there and the environment,” Shimelis said. “Some NGOs are trying to rally or get as many signatures as they can to prevent the construction of Gelgel Gibe 3 … [The] government has repeatedly said the construction of the dam in no way jeopardizes the livelihoods of the people living downstream. 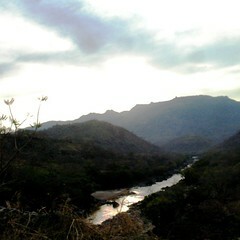 It is pro-environmental. “Various concerned bodies including the Kenyan parliamentarians have endorsed the position of the Ethiopian government and they have openly criticized the position pursued by these NGOs to prevent the construction of Gelgel Gibe 3 hydropower electric dam,” he said. The organization Survival International recently launched a petition calling on the Ethiopian government to halt the project and urging potential international funders not to support it. The African Resources Working Group recently pointed out that Lake Turkana would suffer greatly due to reduced freshwater inflow, which will not only shrink the lake but also change its chemical balance. The lake is also very shallow given its size; its average depth is just 31m, making it even more sensitive to changes in water flows and to evaporation linked with climate change, said UNEP’s Nuttall. “Any reduction in water flows could increase the saltiness with impacts on the fish,” he warned. 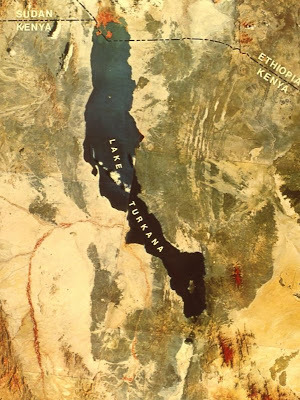 Already, Lake Turkana’s salinity is far higher than any other large lake in Africa as it has shrunk over the past 7,500 years and because it is a closed lake system, he added. Among the reasons for this is declining rainfall, increased evaporation, the diversion of water upstream and increased siltation due to erosion upstream. “The rainfall patterns and river flows upon which the operation of the hydro-electric dams are based may no longer hold true 20, 30, 40 years from now,” he said. 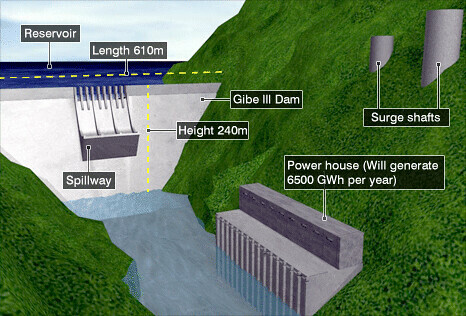 Gibe 3 is expected to generate 1,800MW of electricity. If Ethiopia carries out its energy development plans in full, it will be 95 percent dependent on hydro. 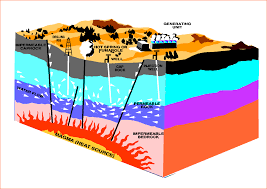 “The Ethiopian sector of the Rift Valley and the Afar triangle has good potential geothermal resource possibilities. Perhaps these could be explored and harnessed,” Nuttall added. “Overall, there is perhaps the need for further and more detailed environmental impact assessments in order for the governments of Ethiopia and Kenya to fully understand the challenges and opportunities for hydro on the River Omo versus other energy-generating options,” said Nuttall. Map of East Africa showing some of the historically active volcanoes(red triangles) and the Afar Triangle (shaded, center) — a so-called triple junction (or triple point), where three plates are pulling away from one another: the Arabian Plate, and the two parts of the African Plate (the Nubian and the Somalian) splitting along the East African Rift Zone. The splitting apart of the African Plate in the East African Rift Valley shows how continents change and oceans are created through the process of plate tectonics. The huge, brittle tectonic plates that make up Earth’s crust normally move only a few centimeters per year, not fast enough to be noticeable in a human lifetime. However, in the East African Rift Valley, this tectonic motion is happening with remarkable speed. The East African Rift System is the most extensive continental rift zone on Earth, as well as one of the most active geologic regions. Stretching more than 6,000 km (3,700 miles), it begins in Lebanon and Syria to the north, proceeds along the Red Sea where it marks the boundary between the African and Arabian Plates, and continues through to Mozambique in the south. The area of east Africa is defined by extremes. 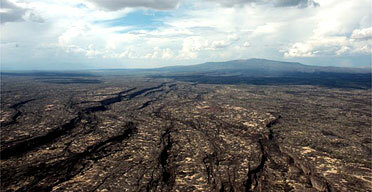 Volcanic activity along the Great Rift Valley has produced some of the world’s highest mountains, including Mt. Kilimanjaro and Mt. Kenya, while the Danakil Depression in Ethiopia is one of the lowest points on the planet. The Afar Triangle, which includes north-eastern Ethiopia, Djibouti and the southern Red Sea region of Eritrea, is the location of a tectonic triple junction where three tectonic plates meet. These three plates are moving away from each other due to an upwelling of magma from the mantle, which melts the crust and causes it to thin and pull apart. The phenomenon is similar to that which occurs at the mid-ocean ridges, where hot magma rises up and pushes the oceanic crust out to each side in the process of seafloor spreading, but it is rarely observed on Earth’s surface. Recent tectonic activity in the East African Rift Valley has created vast fissures where the African Plate is being split into two parts. The Nubian Plate that comprises most of the African continent, and the Somalian Plate, on the eastern coast, are moving in opposite directions at what is known as a divergent plate boundary. As the plates pull apart, a new ocean will eventually form, and the Horn of Africa will separate from the rest of the continent, becoming an island. The Ethiopian Rift valley extending from the Afar Vally down to the Omo river passing to the Lake Turkna ( Rudelf) up unto lake Victoria. This is a tectonic plate separation point breaking the Horn of Africa from the rest of the continent. One cannot build a Dams (Gebe I Gebe II Gebe III) connecting these breaking plates. Recently the Gebe II dam’s tunnel of 26 kilometer collapsed from this movement. 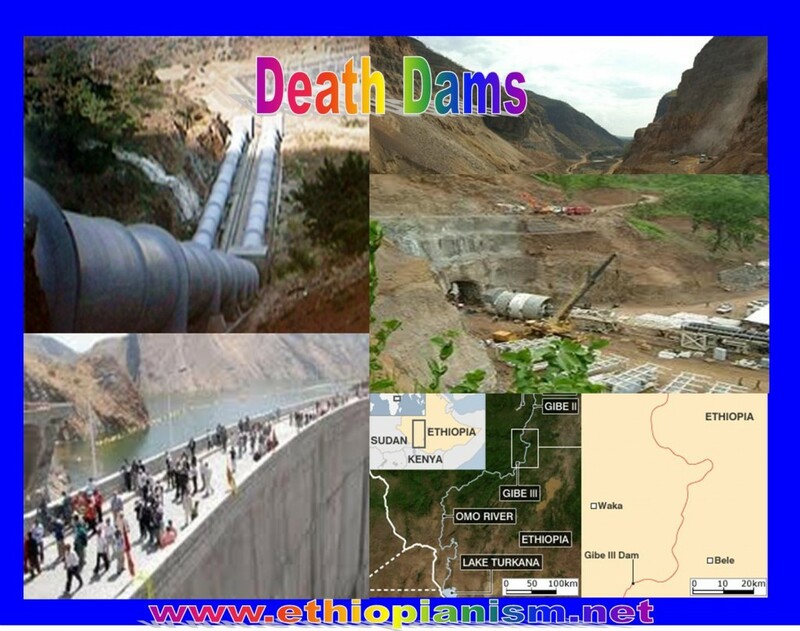 The government of Ethiopia is continuing its project and throwing money in these futile project and destroying the lives of over half a million Ethiopians & Kenyans down the river . The dam could collapse any time with these unexpected movement endangering over half a million lives . A group of international campaigners has launched an online petition against Ethiopia’s huge Gibe III dam project. The group wants to put pressure on Western donors and banks not to fund the dam, saying it would destroy the livelihoods of some 500,000 people. The dam is on the Omo River, which flows from southern Ethiopia into Lake Turkana in northern Kenya. Ethiopia’s government says the dam is needed to generate enough electricity for its population and to sell abroad. Construction work is under way on the dam, which would be Africa’s second largest hydro-electric dam, providing some 1,800 megawatts of electricity. But one of the groups, International Rivers, says the government still needs about $1.4bn (£930m) to finish it. 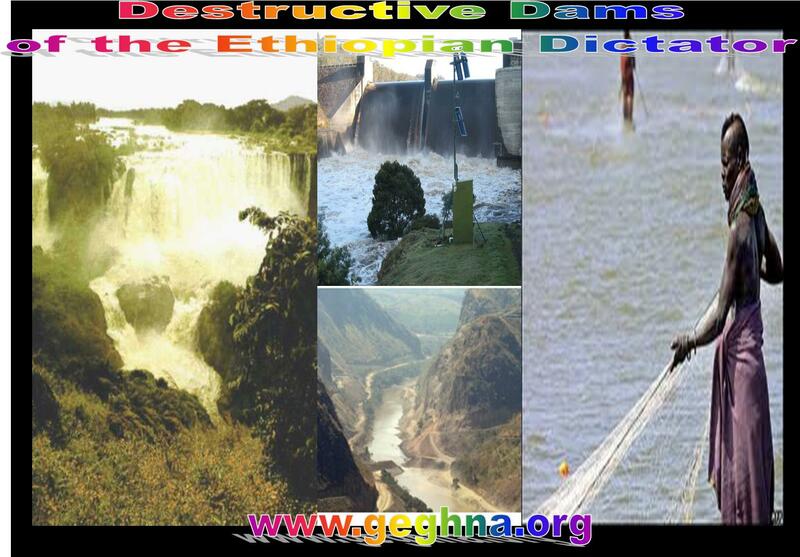 “Gibe III is the most destructive dam under construction in Africa. The project will condemn half a million of the region’s most vulnerable people to hunger and conflict,” said Terri Hathaway, director of International Rivers’ Africa programme. The dam would flood a huge area, creating a 150km-long lake and preventing people from planting their crops on the river’s flood plains, as they have done for many generations. Campaigners also fear that the dam would reduce the flow of water into Lake Turkana, which some 300,000 people depend on. However, Ethiopia’s government disputes that the overall amount of water would change – they say it would just be a more regular flow throughout the year. Tewolde Gebre Egziabher, head of Ethiopia’s Environmental Protection Authority, told the BBC the project was “very sensible”. Using newly gathered seismic data from 2005, researchers reconstructed the event to show the rift tore open along its entire 35-mile length in just days. Dabbahu, a volcano at the northern end of the rift, erupted first, then magma pushed up through the middle of the rift area and began “unzipping” the rift in both directions, the researchers explained in a statement today. “We know that seafloor ridges are created by a similar intrusion of magma into a rift, but we never knew that a huge length of the ridge could break open at once like this,” said Cindy Ebinger, professor of earth and environmental sciences at the University of Rochesterand co-author of the study. For the first time – humans were able to witness the birth of an ocean. 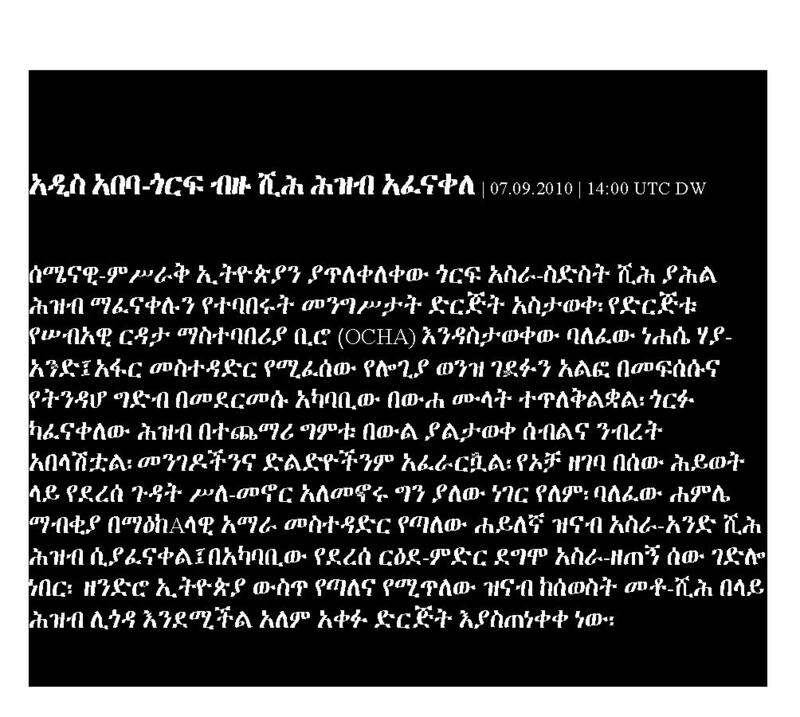 Geologist Dereje Ayalew and his colleagues from Addis Ababa were the first to witness this up-to-the-minute experience. With a shake of the earth as soon as they arrived they were tempted to run back to the helicopter that had brought them there but in moments they were able to witness this horrific yet fascinating event. After a few moments, a dense crack in the earth appeared – an event that usually takes a lifetime to occur. This would be an amazing experience to view in a lifetime, it has been recently added to my “things to see in my lifetime” list. “The process happening here is identical to that which created the Atlantic Ocean,” Parts of the region have sunk to nearly one-hundred meters below sea level. The red sea will soon flood this crevice, and the scientists are able to unearth what is to be the floor of the newly forming ocean. The African and the Arabian plates meet at the Afar triangle and are considered to be the largest natural construction site on the planet. The event witnessed was the first visual proof of the formation. Now, this would have been something to witness. Locals visit the site regularly and notice new cracks forming constantly. 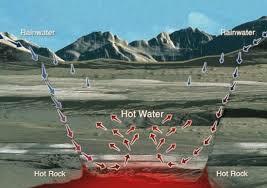 Also, fumes as hot as 400 degrees arising from the area accompanied by magma and sulfur. This is evident in the recent volcanic activity within the area. It won’t be a very long time until this area is flooded by the current red sea and becomes the youngest ocean. A massive hydroelectric dam project on Ethiopia’s Omo River will devastate at least 200,000 tribal people, Survival said today. Survival is launching an urgent campaign calling on the Ethiopian government to halt the dam (known as Gibe III), and urging potential international funders, including the Africa Development Bank, the European Investment Bank, the World Bank and the Italian government not to support the project. Italian company Salini Costruttori, has been contracted to build the dam. The same company built the smaller Gibe II dam, part of which collapsed 10 days after it was opened in January. 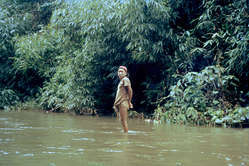 The dam will end the Omo’s natural flood, which deposits fertile silt on the river banks, where the tribes cultivate crops when the waters recede. In a region where drought is commonplace, this will have devastating consequences for the tribes’ food supplies. The tiny hunter-gatherer Kwegu tribe, for example, will be pushed to the brink as fish stocks will be reduced. 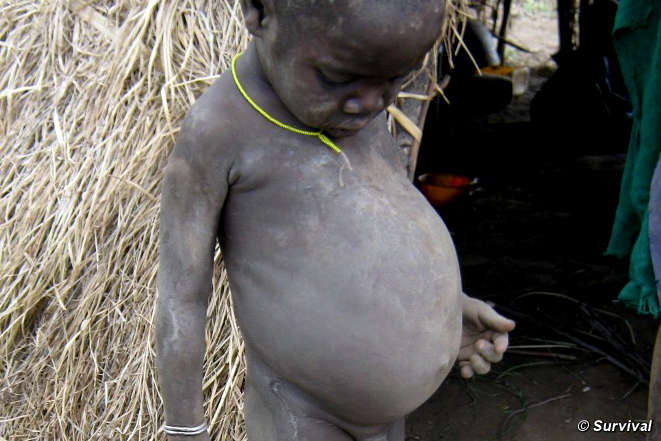 Six Kwegu, including two children, recently died of hunger because the rains and flood failed. 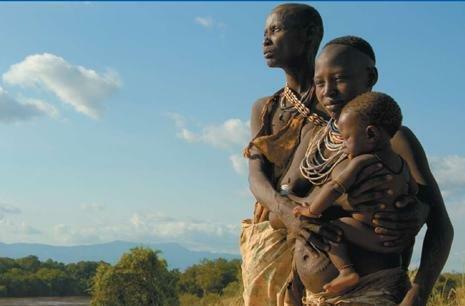 The Ethiopian government plans to lease huge tracts of tribal land in the Omo Valley to foreign companies and governments for large-scale production of crops, including biofuels, which will be fed by water from the dam. Most of the tribal people who will be affected by the dam know nothing about the project. The Ethiopian government is clamping down on tribal organizations, and last year closed down 41 local ‘community associations’, making it impossible for communities to hold meetings about the dam. The Omo River is the primary source of Kenya’s famous Lake Turkana, which supports the lives of 300,000 people who pasture their cattle on its banks and fish there. The dam will threaten their survival too. 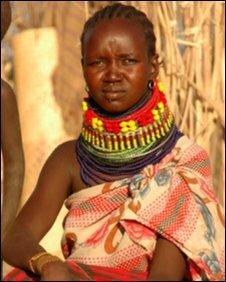 Both the Lower Omo Valley and Lake Turkana are UNESCO World Heritage sites. Survival together with the the Campaign for the Reform of the World Bank, Counter Balance coalition, Friends of Lake Turkana and International Rivers have launched a petition to stop the dam. Soon, both the African Development Bank and the Italian government will decide whether to fund the dam project as requested by the Ethiopian government. Survival and various regional and international organisations believe that the Gibe III Dam will have catastrophic consequences for the tribes of the Omo River, who already live close to the margins of life in this dry and challenging area. Many tribal people in the Lower Omo Valley in Ethiopia are starving as the region is in the grip of a drought and the river’s annual flood has failed. 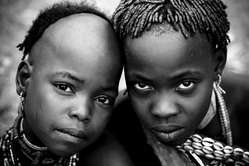 The Kwegu, a small hunter-gatherer tribe, have been badly hit. 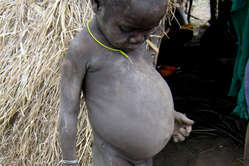 Survival has received reports that two Kwegu children and four adults died from hunger in November. The rains have not fallen properly for three years in the Omo Valley, home to eight different tribes and around 200,000 people. The annual flood of the Omo River, a lifeline for the region, has decreased in recent years, and in 2009 it failed completely. It is not clear why the rains have stopped, or why the flood failed. What is clear, is that the Gibe cascade – a series of five dams planned for the Omo River – is likely to stretch an already strained region, and its people, to breaking point. Gibe I is already complete, damming one of the tributaries of the Omo River. The Gibe II dam blocks the same river, and recently was a major source of embarrassment for the Ethiopian government and Italian firm Salini Construttori, after part of it collapsed just ten days after opening. The Gibe III dam is about one third complete. A 50 meter cofferdam was recently built as part of the ongoing dam construction. Some believe it may have contributed to the lack of the annual flood. If completed, Gibe III will be the second largest hydroelectric dam in Africa. Experts warn it will irrevocably devastate the Omo River’s flood cycle, which is crucial to the Omo Valley tribes’ livelihood and survival. 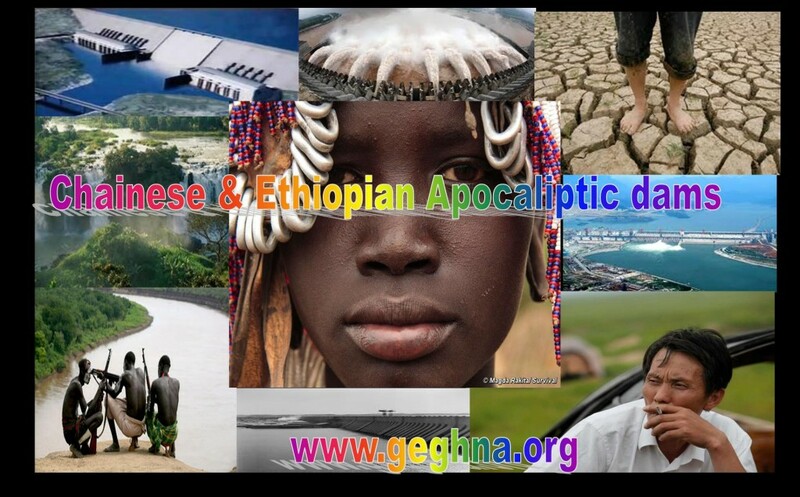 The Ethiopian government claims Gibe III, aside from generating enough electricity to power the country several times over, will increase the safety of the downstream tribes by stopping giant floods from sweeping away livestock and people. But the tribes are clear – without the annual flood, they cannot survive. A Nahua man shortly after first contact in 1984. More than 50% of the Nahua died following contact. A pioneer scientific study has revealed how some of the world’s last uncontacted tribes are threatened by ‘the detonation of thousands of seismic explosives’ on their land. The study says that seventeen large areas in the Peruvian Amazon where oil and gas companies can work include land inhabited by uncontacted Indians. ‘More of the Peruvian Amazon has been leased to oil and gas companies over the past four years than at any other time on record,’ says the study, published in ‘Environmental Research Letters’. The study says that a massive 72% of the entire Peruvian Amazon is now open for exploration and drilling. Survival is campaigning against exploration in parts of the Peruvian Amazon inhabited by uncontacted tribes. BRUSSELS, Jan 26 (IPS) – Financial support has been requested from the European Union for a controversial energy project in Ethiopia that could drive thousands of farmers from their land. With a projected cost of 1.7 billion dollars, the Gilgel Gibe 3 dam is the single largest infrastructural work being undertaken in Ethiopia. At a launch ceremony Jan. 24, Ethiopian President Girma Wolde-Giorgis predicted that the hydroelectricity scheme will boost efforts to reduce poverty. Yet his upbeat assessment is disputed by environmental and social policy activists. They predict the dam will have adverse consequences for the ecology of the Gibe-Obo river system. Although 400 nomadic pastoralists are likely to lose access to grazing lands as a result of it, locals have not been formally consulted about its effects. The European Investment Bank (EIB) has confirmed that it has received a request to loan money to the dam. Doubts have been cast on whether the project would comply with international tendering rules. Salini, an Italian construction firm, was awarded a contract for the project by the Addis Ababa government, without any competition. An EIB spokesman said that because the contract had been granted in this way, the bank would “only be able to finance things that might be subcontracted” to other companies. Campaigners have declined to accept this reassurance. Magda Stockczkiewicz from Friends of the Earth’s Brussels office pointed out that the EIB had previously financed earlier phases of the dam’s construction between 1998 and 2005, even though similar problems had been observed in the awarding of contracts. A loan of more than 44 million euros (65 million dollars) was allocated to phase two, for example. “It is in keeping with the classic EIB approach that it is not going to provide finance to all of a monster but that it is happy to finance the birth of a monster,” said Stockczkiewicz. Set up by the 1957 Treaty of Rome, the EIB is an official EU body, which approved loans totalling more than 53 billion euros (78 billion dollars) in 2006. Although the bank raises its capital from international markets, its mandate requires that it adheres to the Union’s policies. Under the Cotonou Agreement, a treaty signed in 2000 that lays down the legal basis for the EU’s relationship with Africa, it is obliged to ensure that any work it supports in Africa helps reduce poverty. Gilgel Gibe 3 is considered pivotal to an Ethiopian five-year plan to generate 4,000 megawatts of electricity. Almost half that energy is to come from the project. But the question of whether the domestic population will benefit as a result is fiercely contested, given that much of its power could be exported to Kenya. Caterina Amicucci from the Campaign for the Reform of the World Bank in Rome said that just 6 percent of Ethiopia’s 73 million inhabitants are connected to the national electricity grid. It would be preferable, she added, to invest in improving domestic capacity than to support schemes designed to export energy. As alternatives to Gilgel Gibe 3, campaigners are advocating a major effort to increase the supply of cooking fuels to rural communities. Ethiopia has also been identified as having vast potential for the generation of geothermal energy – from heat stored beneath the earth’s surface – particularly in the Rift Valley. Despite being a critic of the World Bank, Amicucci argued that the Washington-based institution is “much more advanced” than the EIB. After sustained campaigning by a wide variety of organisations, the World Bank has become more transparent and has begun insisting that correct procedures are followed before it releases money. “Because of the procurement issue (with Gilgel Gibe 3), the World Bank’s offices in Addis Ababa have told us they can’t support this project,” Amicucci added. Another concern being raised is that Ethiopia could struggle to pay back a large-scale loan. In a report on Ethiopia issued last year, the International Monetary Fund (IMF) stated that the granting of commercial loans to public enterprises has a “sizeable effect” on debt sustainability. The World Bank and IMF consider the external debt of a country as sustainable when it is around 150 percent of its yearly export revenues. According to the latest data published by the World Bank, Ethiopia has an external debt of 6 billion dollars, equivalent to one-fifth of national income. Some 40 percent of Ethiopians live below the poverty line. afrol News, – The European Investment Bank has decided to pull back its funding for Ethiopia’s hydropower dam following pressure calls by environmentalists that the Gibe 3 Dam threatens the food security and local economies that support more than half a million people in Southwest Ethiopia. According to the banks statement, the Euro 1.55 billion hydropower dam would devastate the ecosystems of Ethiopia’s Lower Omo Valley and Kenya’s Lake Turkana. The dam which is expected to be Africa’s tallest dam with the height of 240 meters and Ethiopia’s biggest investment, drew criticisms from environmentalists saying the construction will wreak havoc on the Omo River’s natural flood cycle. The Bank’s statement further said in March 2009, Friends of Lake Turkana, a group of affected people in Kenya, urged the EIB not to fund the Gibe 3 because the affected communities could not withstand any more pressure on the little resources along the lake. The coordinator of Friends of Lake Turkana, Ikal Angelei, said Gibe 3 Dam would lead to the ecological and economic collapse around Lake Turkana, adding that it would also fuel tension in the volatile east African region. The African Development Bank will be the next financier to consider funding for the project. Friends of Lake Turkana and International Rivers Network submitted complaints to the AfDB in March and April. International Rivers’ Africa director Terri Hathaway said the Gibe 3 Dam violates the AfDB’s policies on environmental and social assessment, poverty reduction, resettlement, public disclosure, and trans-boundary water management. “Donors should not fund through the AfDB what they are not prepared to fund through the EIB,” the official said. The Gibe 3 Dam which resumed construction in 2006 was awarded without competition to an Italian construction giant Salini, raising serious questions about the project’s integrity. The project’s impact assessment reports were also published long after construction began and are said to disregard the project’s most serious consequences. The European Investment Bank financed the Gibe and Gibe 2 dams, conducted a pre-assessment of the Gibe 3 Dam, and contribued funds to the project’s Economic, Financial and Technical Assessment. The environmentalists have argued that the construction of Gibe 3 dam would leave the Lake Turkana and its inhabitants devastated as the lake could start drying up when its main source, the Omo River, is depleted by a huge dam in Ethiopia. 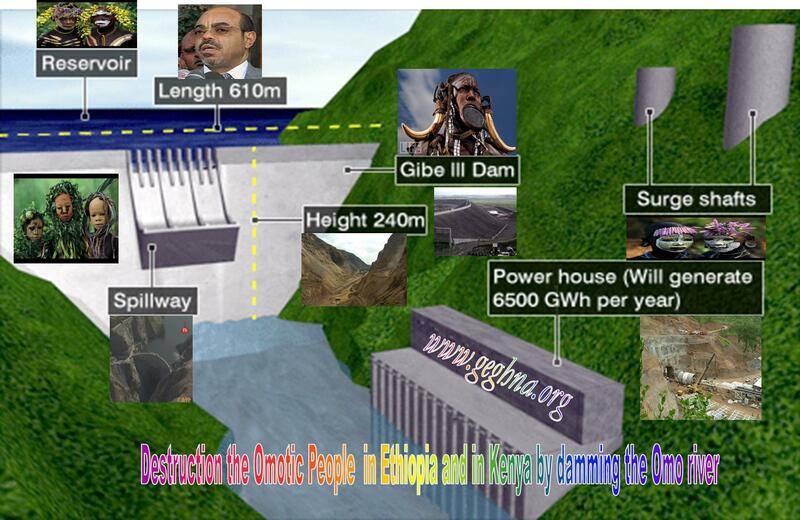 “There is no question that Ethiopia needs power. But the irony of the Gibe III dam is that while it threatens the economy of the Turkana region, a large share of its electricity will be sold to consumers in other parts of Kenya,” the environmentalists has said. Although Kenya and Ethiopia have reportedly signed the power purchase agreement outlining the terms of electricity sales in 2006, no bilateral agreements on the use of the Omo-Turkana waterway and the dam’s downstream effects to Kenya are publicly known. Requestors argue that the Gibe III Dam is set to deplete Lake Turkana with dramatic impacts on downstream communities in Kenya, and in the absence of public consultation. On February 4, Friends of Lake Turkana, a Kenyan organization representing indigenous groups in northwestern Kenya whose livelihoods are linked to Lake Turkana, filed a formal request with the African Development Bank’s (AfDB) Compliance Review & Mediation Unit (CRMU) – the AfDB’s internal accountability mechanism – to investigate and intervene in the Bank’s plans to finance the Gilgel Gibe III hydroelectric project in Ethiopia. Gilgel Gibe III (known as “Gibe”) is part of a continuing series of projects on the Omo River and its tributaries in southwestern Ethiopia. Construction on the third portion of the project began in 2006, but the request for funding to the AfDB was only made recently. The project has become problematic for public funders because the Ethiopian government did not follow standard procedures in awarding the main contract to an Italian firm, Salini, without any bidding procedure. The World Bank has declined to offer financing because of this flaw, as has the Italian government. The European Investment Bank also seems to be leaning against any funding, on the same grounds. The AfDB’s procurement guidelines likewise prohibit it from funding the main contract, but the loan currently under consideration uses a loophole – financing through a sub-contract – to evade the rules. With so many potential public funders turning away from the project, and with private financiers like J.P. Morgan Chase withdrawing support because of the financial crisis, the AfDB’s contribution becomes more important – even vital – if the project is to be completed. Unfortunately, judgments about whether procurement rules have been violated do not fall within the CRMU’s mandate. The request filed by FoLT instead focuses on the impact of the project on Lake Turkana. 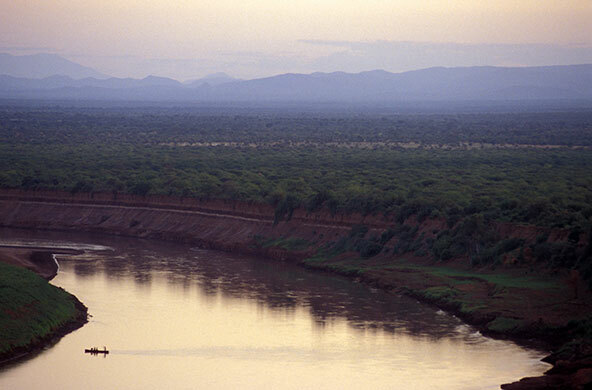 The Omo River supplies roughly 80 percent of the water in the lake, which is the world’s largest permanent desert lake. 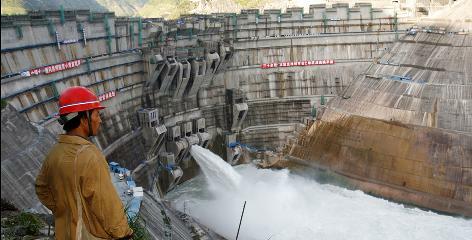 The contemplated impact of the dam could reduce the lake’s depth, it is estimated, by between 7 and 10 meters. Such an impact would have serious repercussions on the chemical balance of the lake, which is highly alkaline, and therefore on the biodiversity supported by the lake. Lake Turkana hosts the world’s largest group of Nile crocodiles – over 20,000 – as well as many other species of fish, bird, hippopotamus, etc. A serious impact on the lake would also have a serious impact on the riverine forest and the lands around the lake used for flood-recession agriculture. Most of the peoples living in the area are pastoralists who supplement their diet with seasonal cultivation; a damaged lake would seriously compromise their food security and way of life. The Ethiopian government approved its Environmental and Social Impact Assessment (ESIA) on the project in July 2008, nearly two years after construction began, in a blatant violation of Ethiopian law. The ESIA barely acknowledges any impact on Lake Turkana, and provides unrealistically rosy scenarios to claim that the project will actually improve conditions at the lake, such as by “reducing evaporation” – indeed, if there is less water, there is less evaporation. Little effort has been made to consult with affected peoples, and no effort whatsoever has been made on the Kenyan side of the border. Northwestern Kenya is one of the most arid and resource-deprived parts of Kenya, and conflict among its various people has been chronic. The impact of the Gibe Dam on Lake Turkana would very likely lead to increased violent conflict. Although Ethiopia is chronically short of power, most of the power produced by this project would, ironically, be sold to Kenya. That power would be very unlikely, however, to benefit the peoples of northwestern Kenya, but instead go to the metropolitan areas such as Nairobi, further south. 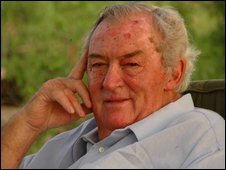 The arrangements between the Kenyan and Ethiopian governments have not been transparent, and there is now jostling in Parliament and the Kenyan coalition government to ascertain what has been agreed to and whether the interests of the people around Lake Turkana have been taken into account. Friends of Lake Turkana is careful to acknowledge that while they are fighting for the interests of the people on the Kenyan side of the border, there are hundreds of thousands in Ethiopia who stand to suffer even more disruptive impacts. The Omo River Valley is populated by a very diverse assortment of indigenous groups, also prone to conflict over scarce resources. Consultations with them have been minimal. But the Ethiopian government’s record of repression, and new laws it has recently passed to further limit the activities of civil society groups, have effectively discouraged groups in Ethiopia from organizing explicit opposition. Nonetheless, expatriate Ethiopian groups, together with NGOs with an interest in the region, plan to file a request to supplement FoLT’s in the coming weeks that will outline in more detail the potential problems in Ethiopia. The AfDB board was originally scheduled to discuss the project on February 25, but that date was delayed shortly after FoLT’s request was filed. There is now no indication when the project will be formally considered, but efforts are being made within the Bank, both through the CRMU and through other contacts, to slow down the process and make sure that adequate consultations and studies are done before any decision is made.